SMU graduate student Tetiana Hutchinson is currently in the Biological Sciences Ph.D. program, researching the development of virus-induced cancers. Learn more about her work and how her research is at the forefront of such cancer experiments worldwide. 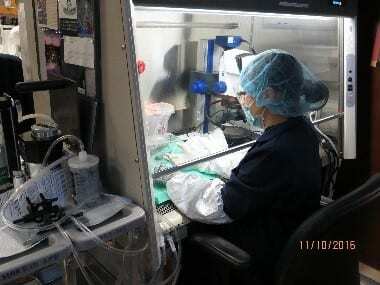 Seven years ago, I came from Ukraine to the United States to pursue my dream of becoming a research scientist. I joined the Ph.D. graduate program in Molecular & Cellular Biology at SMU in 2014 and am doing my dissertation studies in the laboratory of Dr. Robert Harrod. My project involves research on the human T-cell leukemia virus type-1 (HTLV-1) –an oncogenic retrovirus which causes an aggressive white blood cell cancer, known as adult T-cell leukemia/lymphoma (ATLL). My work focuses on characterizing the molecular interactions between viral and host cellular factors to better understand the underlying mechanisms involved in the development of virus-induced cancers and ATLL disease progression. Recently, we are using an in vivo model of HTLV-1-induced lymphoma to determine if inhibiting certain candidate targets, identified through our cell-culture studies, can prevent tumor formation in experimentally-engrafted animals. 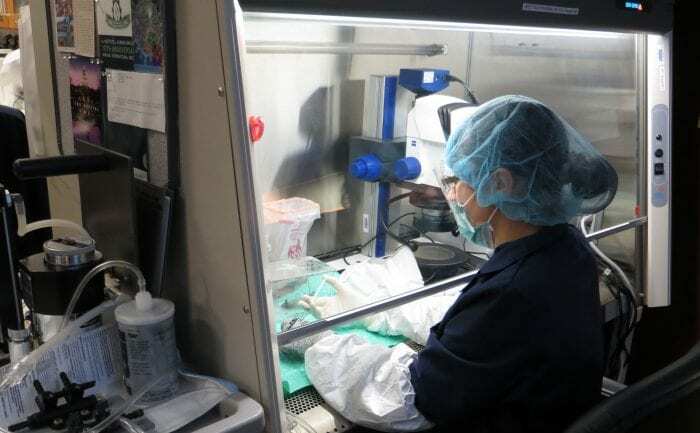 For this work, an immunocompromised NOD/scid mouse strain is injected with human HTLV-1-infected cancer cells, and then the animals are monitored for any changes to their health or appearance over a period of 8-12 weeks. Thanks to Dr. Harrod and the SMU Laboratory Animal Research Core, I’ve had the opportunity to learn how to perform sophisticated tumor cell engraftment experiments in immunocompromised animals. There are currently few laboratories worldwide using the in vivo NOD/scid model of HTLV-1-induced cancers, and I will present my research findings at the 18th International HTLV Conference in Tokyo, Japan in March 2017. I am proud to be an SMU graduate student and a member of our research team.